What happened to these? They were leaked a while ago. 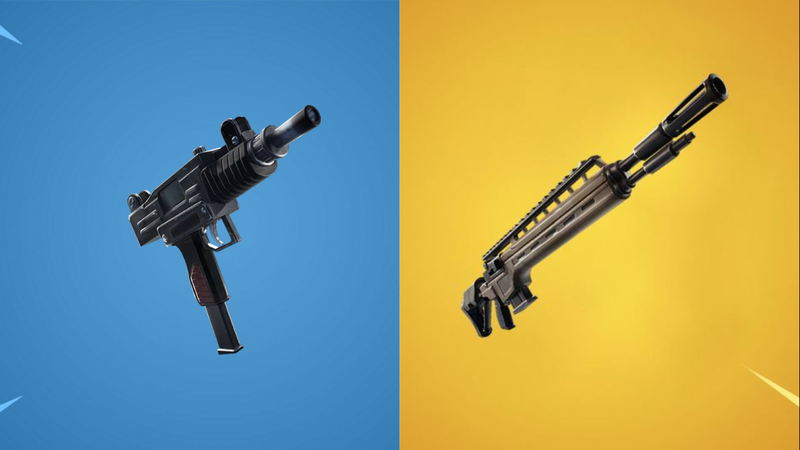 The one on the left is the Machine Pistol (uzi) and the one on the right is the High Infantry Rifle. Weapons can be leaked seasons before they come out, the quad launcher was leaked in season 4. The high infantry rifle was leaked late season 7.
ahh gimmie that high infantry rifle, that thing looks sick. I bet they didn’t release it because they realized noone would use AKs then. Also shouldn’t it be called the “heavy” infantry rifle? As for the uzi I feel like that think would get vaulted after a week of game play. Just looks like a refined tac smg high fire rate, extended mag, but now suppressed. I hope they release the epic and legendary variants of the infantry rifle with the original mechanics, before they made it hitscan… I like it way more than now.